Does not contain enzymes, bacteria, nor oxidizers. Nontoxic, nonirritating, biodegradable, nonflammable. Water soluble for easy cleanup. To eliminate even old deeply impregnated animal odors from cages, runs, tables, floors, walls and other large areas. Can be added to cleaner, rinse or spray. Compatible with cleaners and germicides.Works chemically through bonding, absorption and counteraction. Contains inhibitors to control odors caused by further biological (organic) decomposition (putrefaction), and residuals that re-activate after the initial application to combat and prevent odors. 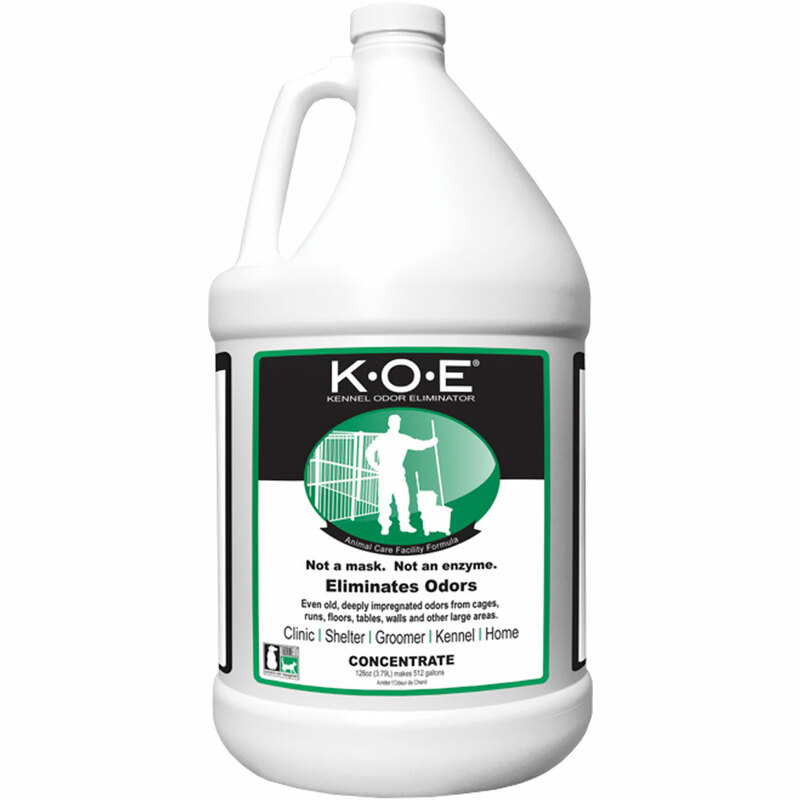 ELIMINATES - not masks old odors from cages, runs, walls and other large areas.